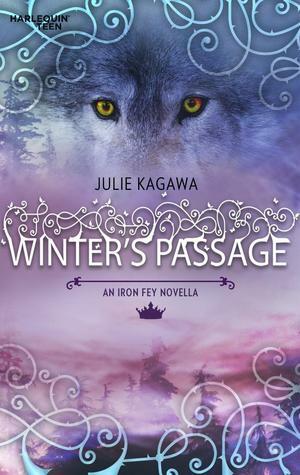 An eBook exclusive story from Julie Kagawa's Iron Fey series. 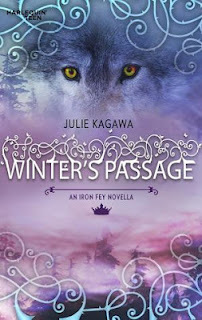 As action packed as The Iron King plus there's more emotions going on between the two characters there. Lovely! Just what I need as I wait for the arrival of my copy of The Iron Daughter. This is a series that I'll definitely fall in love with. I already have. - Ash glared at me in exasperation. "But you keep threatening to fall off the horse, and I can't keep reaching back to make sure you're still on." He motioned to the front of the saddle. "We're switching places. Move forward." - "Dammit, Meghan," he snarled, grabbing both my arms. "I am not going to lose you this close to home. Get up!" I love this book too! I was so lucky to get it for free when it was still free and definitely enjoyed it! Awesome review, Michelle! ♥ So glad you enjoyed it!